Of all the iconic entries into the series of Universal Monster films, probably none can match James Whale’s Frankenstein (1931) on that front. Of course starring Boris Karloff as the monster, the film is one of the earliest examples of turning an intelligent source into an intelligent, yet at times rollicking, genre film. Frankenstein takes Mary Shelley’s rather large scoped source novel and extracts from it a taut tale, covering off on the most cinematic aspects of the novel. We see Dr Frankenstein, beset by a kind of madness, give life to his monster. We see the ‘humanity’ of this monster. Which is perfectly encapsulated in a heart wrenching, and really quite confronting scene, that is perfect in its performance and execution (I won’t spoil it, but if you have seen the film, then you should know the scene I refer to). Then we see the horrors that the created creature can reap and in a brilliantly shot finale the village folk gain their revenge, but it is safe to say that you won’t be cheering at the sight (I wonder if people did when the film was first released?). The script of the film enhances the gothic elements of the piece, which is one of the film’s strengths and also manages to be populist without being mind numbingly dumb. Watching this film does deliver a real sense of nostalgia, though that is not to say that it is a dated film. It still feels relevant and still works as a piece of cinematic enjoyment too. Perhaps it is a little nostalgic for me in particular as it beings back memories of my iconic turn as Igor (Fritz in the film) in the Mudgee High School year 7 stage production of the Frankenstein story (a production that also famously starred Josh Jordan as baby Frankenstein). Whilst obviously not as detailed as in the source novel, there is a lot of thematic exploration in this one. Most prominently is the notion of what it means to be a god and what it means (from a very standard Christian standpoint) to toy with that. The thematic focus is on Dr Frankenstein as the man corrupted by his own intelligence and more importantly power. The themes explored through this character are universal ones, both obvious analogies such as the use of scientific progression, as well as more subtle ones such as everything from world affairs, to the use of information to really anywhere that a power structure exists and is exploited (so everywhere basically). There is so much detailed craft and imagination in this film. 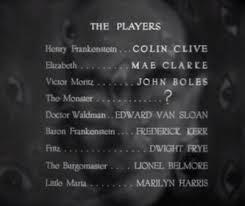 One of my very favourite touches comes in the opening credits where the monster is listed as being played by ‘?’ (Karloff is listed in the closing credits). Despite looking like it was modestly budgeted, the sets lend the entire film a real gothic quality. Like all of these Universal films, the filmmakers did so much with so little and the design of the sets really transcends the budget. Though some sequences do feel a little like they are taking place on a theatre stage, it is never distracting and is really as much to do with the writing as the sets. James Whale, as a person, must be one of early cinema’s most interesting characters. An openly gay (very rare for the time), English migrant and former WWI prisoner of war who played a major role in the early invention of the horror film in the American industry with films such as this one, its sequel Bride of Frankenstein (1935) and The Invisible Man (1933). Like many American directors of the time, Whale seems to have been particularly influenced by the work of early German directors such as Fritz Lang and you can clearly see the influence of films such as The Cabinet of Dr Caligari (1920) on this film, with plenty of canted shots playing up the gothic aspect of the film. 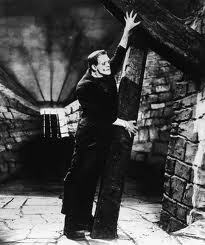 As the monster, Karloff again shows that he is more than just a vehicle for physical transformation. 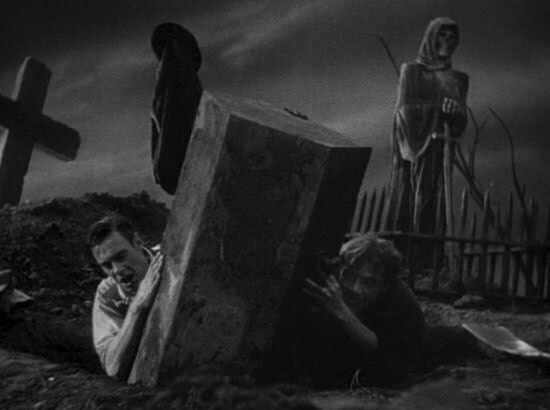 Just like in The Mummy (1932), Karloff brings so much emotion to the role of Frankenstein’s monster and along with the script helps to convey humanity in this creation that makes the film far superior to how it would have otherwise ended up. The acting style across the board works well. The mannerisms are quite over the top without ever becoming distracting. But the performances always feel like they are at the service of the plot and the themes, rather than the actors aiming to steal scenes. I have already mentioned that Dr Frankenstein is the thematic focus of the film and this is assisted by Colin Clive’s intense performance. A performance that culminates awesomely in the famous “it’s alive” sequence, which delivered by a lesser actor would have been cringeworthy to the point of being unwatchable. This is the second time I had watched this film and strangely it felt less dated to me this time. The acting is better than most films of the vintage, particularly genre ones and of all the Universal monster films, this one excels the most at iconic scenes and also probably at thematic exploration. Related beermovie.net articles for you to check out: Dracula and The Mummy. Thanks man. Glad you enjoyed it. This is my fave Universal Monsters film. I can watch it today without getting bored, unlike Dracula and The Mummy. It is definitely right up there with my favourited. The Wolfman is my one that I can watch over and over again and never get bored. I had the great opportunity to see Frankenstein on the big screen a few years ago at a show where Boris Karloff’s daughter, Sara, spoke and displayed some of her father’s memorabilia and home movies. It was pretty excellent. I especially love Frankenstein for having one of the many memorable film appearances of Dwight Frye. Even in smaller roles, like he so often had in his career, he always struck me as an actor worth watching. His also being in Dracula and Bride of Frankenstein, as well as The Vampire Bat (one of my favorite weird cult classics), makes his place in the legacy of horror films secure in my mind. I just wish he’d gotten to do more than play Renfields and Fritzes, or other sidekicks with little to do (as in the 1931 version of The Maltese Falcon, which I do recommend). Thanks for commenting. That sounds like a great event with Karloff’s daughter. He was such a fantastic, and I think underrated, actor. Frye is also incredible, though like you say he is relegated to the background here a bit. From memory he gets a bit more of a chance to shine as Renfield in Dracula.